and having a ride on these (that's Charlie, by the way, not me). We also visited the Rowse Honey tent where (in additional to having a tasty honey sandwich) we were taken via games and activities through the process of making the stuff, from gathering pollen to building a honeycomb. Apparently, there are 2000 bees between these panes of glass. Charlie was all for trying to count them. I took the expert's word for it. Meanwhile, back on dry land, Charlie's mum was enjoying one of these. It's called a 'Zilli' and is one of Prezzo's new pizzas to share, from a range created by celebrity chef Aldo Zilli. And what better, therefore, for Eloise than la même chose - something called a 'Baby Zilli' from the new organic range by - you've guessed it - celebrity chef Aldo Zilli. It went down very well indeed. As did the pizza. As, indeed, did the chilled sauvignon blanc I used to help dry me out when we arrived home. Of course, by then the sun was shining. I even got the chance to give our soggy clothes and bags an airing. While sipping a little more vin blanc, of course. And I can confirm that my empirical research proves beyond reasonable doubt that dry white wine really does help after a soggy day at a music festival. Because by the time I'd finished the bottle I was perfectly warm and dry. And so were my clothes. This post was not sponsored by Prezzo. My wife paid. With money. 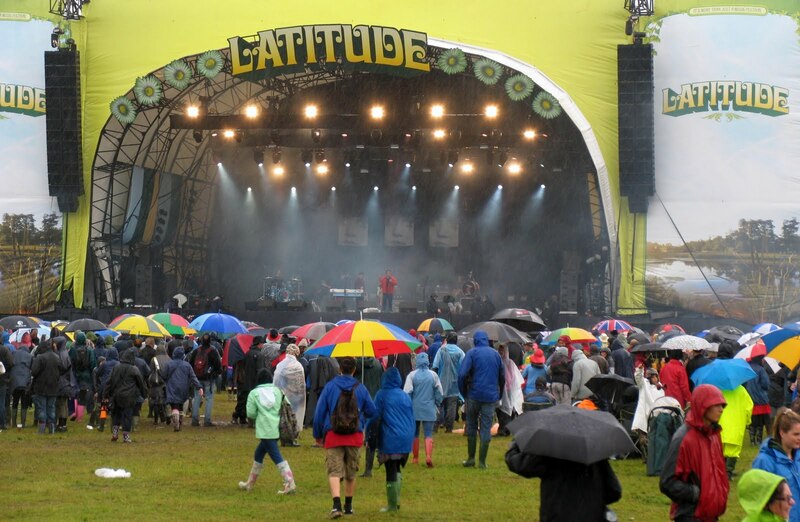 Charlie and I went to the Latitude Festival courtesy of Rowse Honey (but I've said that already). And Zilli (the baby food rather than the pizza) sent us some samples for Eloise to try.